Are you concerned lead is in your paint? The Lead Paint Test uses easy-to-follow instructions (PDF) on how to properly collect and submit a sample for quick, accurate analysis in our laboratory. We accept samples from clients nationwide. Results in 2-3 business days. Email for rush pricing. Payment is for laboratory analysis. The submission of samples does not require a designated “kit” to be mailed to you, simply place samples in individual zip-lock bags (one sample per bag) and mail-in with your completed sample submission form. 1. Purchase your Lead Paint Test today by selecting the paint type you want analyzed (paint chip or paint dust). Prices include lab analysis for detection and, if present, quantification of lead content. 2. Download the sample submission form by clicking the appropriate Lead document HERE. The submission of samples does not require a designated “kit” to be mailed to you, simply place samples in individual zip-lock bags (one sample per bag) and mail-in. 3. Follow the step-by-step instructions and mail the sample(s) to us. We will email you a lab report (PDF) 2 – 3 business day after receipt of your sample to the email address you provide on the form. Lead can be found throughout your environment – the air, the soil, the water, and even inside your home and businesses. Much of our exposure comes from human activities, including the past use of leaded gasoline and lead-based paint in homes. In addition, lead and lead compounds have been used in a wide variety of products that are commonly found in and around our homes, such as ceramics, pipes, plumbing materials, and even batteries. 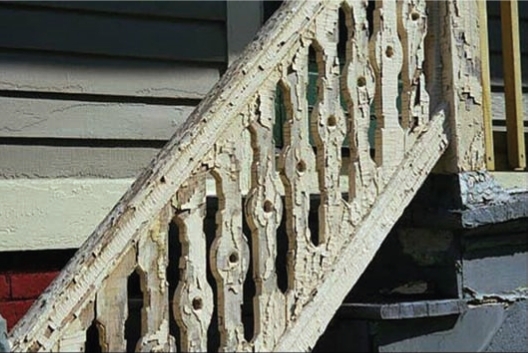 If your home or business was built before 1978, and the paint is deteriorating, a lead paint test is strongly recommended.